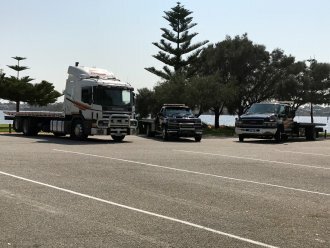 Fast, Reliable, Instant Response Towing Perth - Anytime, Anywhere. Accident Towing is 100% covered by Comprehensive Car Insurance Policies with Lightning Towing. No extra hidden costs, your tow costs you nothing! Not at-fault? You may be entitled to a free hire car after an accident if the at-fault driver has full comprehensive car insurance. 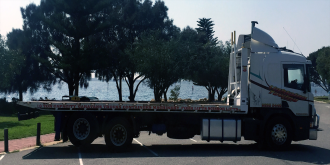 Lightning Towing can assist with both commercial & private towing 24/7 throughout Perth. Our highly trained and professional drivers are well-equipped with the latest tools and knowledge. Do you have a battery that has lost its charge, a tyre that’s flat, or simply run out of fuel? Call Lightning Towing for pay-as-you-go roadside assistance and we will get you moving again. Lightning Towing’s heavy tilt tray can tow/carry most large vehicles including trucks, buses, mobile cranes, construction equipment, general machinery & equipment. 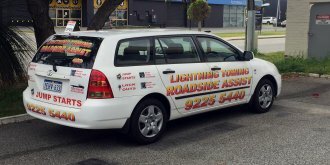 Lightning Towing offer a full range of towing services to vehicle owners located throughout the Perth metropolitan area. 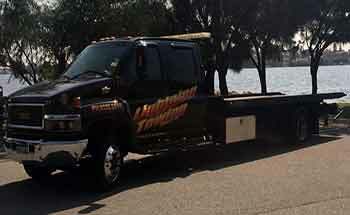 Our team can handle any towing or logistical services needed. Our professional drivers know how to handle all types of vehicles as well as a wide range of light and heavy duty equipment. Whether you need a car, truck, or heavy duty equipment transported, our professional drivers strive to ensure it will be transported with the utmost care. We make car towing convenient and an easy process for you. All our trucks are fitted with GPS tracking for faster response times so we can attend the location with minimal delay. CCTV is fitted in all trucks for the safety of our drivers and customers. Our holding yard is fully secure with CCTV & 24hr monitored alarm system. We are a helpful, friendly, and professional team of people. Our professional drivers know how to handle a wide range of cars and equipment. We always get the job done right — the first time. Your car and equipment is 100% insured from loading point to destination. 24 hour / 7 day towing service. Seniors card holders receive 10% off all standard towing services. Just a quick note to say thank you very much for the high quality professionalism in your recent job in the towing of my tiny house. 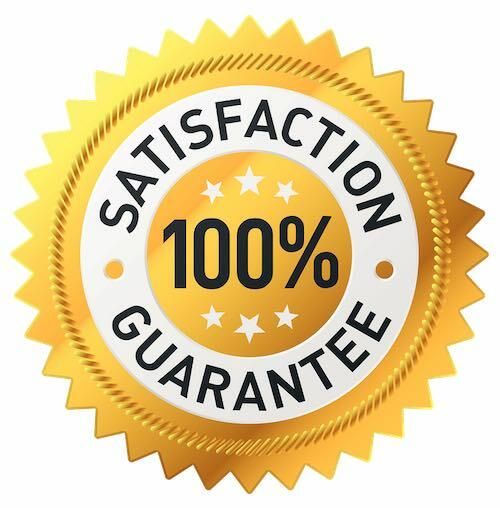 From booking to follow ups and the complete delivery, was handled most professionally. Danial the driver did an amazing job by getting it down here safely in one piece. I would not hesitate to recommend your business to others in need of towing or transporting, tiny house or other. Difficult tow today with a wheel snapped clean off my Navara. Old mate helped load it nice and carefully on to the truck and it took him a good deal of his time to do so. The charge was minimal compared to the difficulty. Thanks for looking after my pride and joy, it was appreciated.